HFCL has been servicing Indian Railways for over a decade through innovative communication products and solutions. 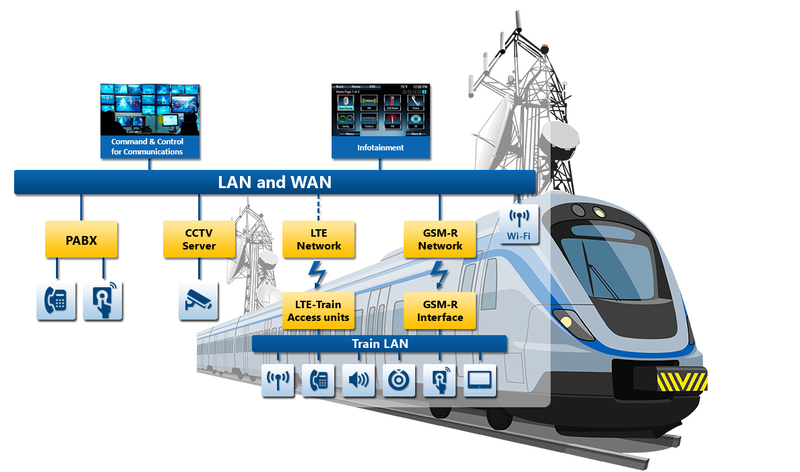 Leveraging on its telecom network design experience as well as comprehensive project management capabilities, HFCL offers expanded portfolio of services comprising of “Network Design, Equipment supply, Installation & Commissioning (I&C), Network Integration, and post deployment Warranty & AMC support” for Metro Lines, Mainline Railway, as well as upcoming Dedicated Railway Freight Corridors in India. As a Master System Integrator (MSI), HFCL customizes the solution crafting a blend of its own products and those from leading national/international OEM partners. With the combined strength of all these OEMs, HFCL offers an integrated solution comprising of state-of-the-art telecom products such as SDH, IP-MPLS, EPABX, VHF, GSM-R, Wi-Fi Access, Video Surveillance, Synchronization, Emergency Communication and all other odds-and-ends in between. Each of these equipment types are deployed as independent sub-networks. This requires coordinated planning, designing, integration, optimization and other network considerations across these sub-networks for seamless performance. As mandatory for such a mission-critical network wherein an error can cause severe damage-to/loss-of human life and property, HFCL focuses on providing multiple levels of redundancies to minimize service disruption through unrelated faults.